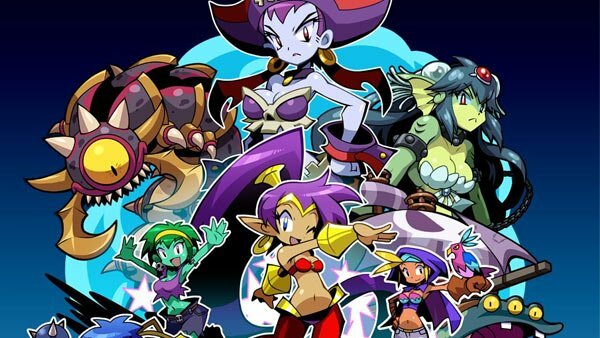 Shantae: Half-Genie Hero, the fourth entry in developer WayForward’s flagship franchise and the first to debut on home consoles, was successfully crowdfunded via Kickstarter in late 2013, with the company releasing the acclaimed Shantae and the Pirate’s Curse the following year to make the wait easier. While continuing to provide small details, and even letting backers vote on character designs, WayForward has remained relatively vague about when they hoped for the game to release. That’s no longer the case though, as their official Twitter page has confirmed that Half-Genie Hero will digitally launch in North America on September 27 for $29.99, across PC, PlayStation 4, PlayStation 3, PS Vita, Xbox One, Xbox 360 and Wii U. In another series first, a physical release for the PS4, Vita and Wii U versions will also be provided by distributor XSEED Games. While details on the game’s story remain slim, promotional screenshots and trailers have already shown that Half-Genie Hero will retain the mix of sidescrolling action and exploration that previous entries have showcased, along with a graphical revamp featuring hand-drawn character art and polygonal environments instead of the pure pixel art of before. Fans of Risky Boots, Shantae’s longtime antagonist, can also look forward to the pirate captain getting her own campaign.